Come as you are; no previous dance experience needed. SoulFul Sunday is a facilitated dance event. Offered every Sunday. Cultivating connection through rhythm, movement, mindfulness and community. . 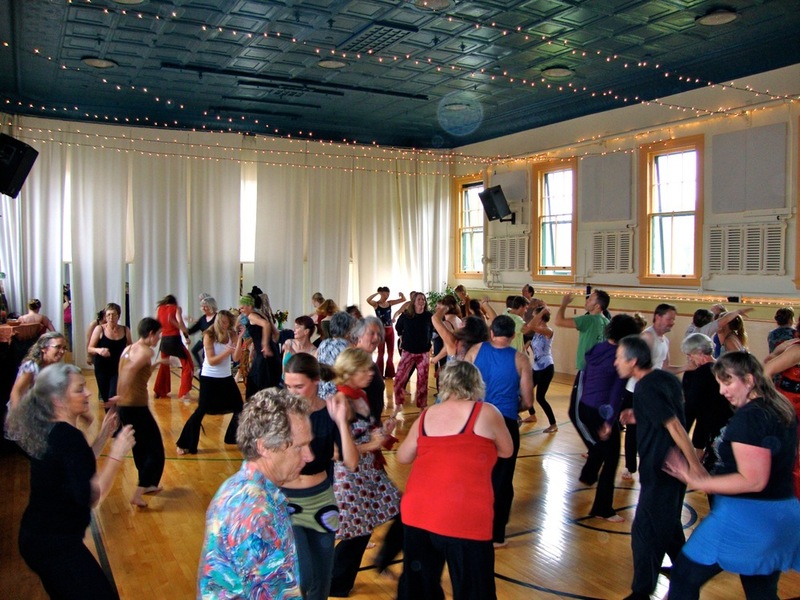 The dance is attended by a vibrant and diverse community of welcoming and friendly people, some of whom have practiced Soul Motion for years, while some ~ never before. The invitation is to cultivate your creative-form of expression, bring a curious spirit and a YES to deepening your connection with self, other, community and SOUL. The music is diverse—to engage a horizon of possibilities. The rhythm moment is unpredictable in what arrives. The community is the celebration. Take part as witness, as mover, as a beholder of the One-Dance. We begin together at 10:00. Doors open by 9:40 AM. Please arrive early and stay for the whole event. "And then exhale, relax, and, sweet one, be wise ~ cast all your votes for Dancing!" Soulful Sunday is a community-based Soul Motion modality dance event. A family-friendly environment that is adult-focused. Children under 11 are invited to attend if they come prepared to dance with their attending adult. Please no lifts above hip height—for the safety of others. Community Potluck on the first Sunday of every month at noon. We begin together—so please arrive at least five minutes early. Some mornings incorporate a 10-15-minute silent (stillness/sitting) practice at the beginning of class. Other mornings we will incorporate a walking meditation or contemplative movement exercise as a way to initiate spontaneous aliveness. Movement as Meditation is lightly facilitated—offering individuals the opportunity to deepen in their own personal practice while exploring creative expression, creative relationships and divine dialogue. No experience necessary.